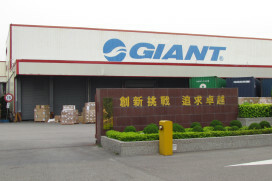 TAICHUNG, Taiwan – Giant sold 3.61 million bikes in the first half of this year, up 32% from a year earlier. According to newspaper reports in Taiwan Giant Manufacturing Co. Ltd., reported consolidated sales for the six months that totaled US$ 873.87 million (€ 683.5 mn), up 14.4%, while the bike maker registered US$ 67.55 million (€ 51.3 mn) in pretax profit, up 0.9 percent year-on-year. Giant posted US$47.67 million (€ 37.3 mn) in net profit, up 0.6 percent from a year earlier, while its earnings per share during the same period stood at NT$3.82, compared with NT$3.80 recorded a year ago. The 30% more bikes were sold by Giant in Asia and in particular in China. In Europe Taiwan makers – not only Giant – saw orders drop by 4% in quantity during the first seven months of 2012. Tony Lo – Chairman of the Taiwan Bicycle Exporters’ Association and Giant President – said at a press conference at last month’s Eurobike that against a 4% drop in orders from Europe stood that actual revenues rose by 4%. “It proves that Taiwan has changed from an OEM producing country into a nation that caters for high-tech products,” said Lo.